Please welcome today's paranormal guest author Joann I. Martin Sowles. 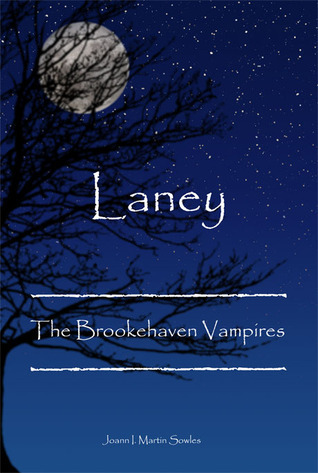 Joann is the author of Laney: The Brookehaven Vampires . Joann: It’s the genre I’ve always read and I’ve always been fascinated by vampires and all mythical creatures. Joann: I think readers will enjoy Laney’s story because of the of the love story that is involved between her and Oliver. I also think they will enjoy finding their way through the Brookehaven world through Laney’s eyes. Joann: I could see Hayden Christensen as Oliver – It’s that smile and his hair. I have no idea for Laney. My daughter, who is 9, says she’s going to play Laney if it’s ever made into a film/TV show. Not sure how I feel about that… I could see Bradley James as Carter and Jaime Ray Newman as Professor Amber. I would have to put a lot of thought and research into the rest. I imagine, as time goes by, I’ll discover others I think should fill those spots. Don't miss E.J. 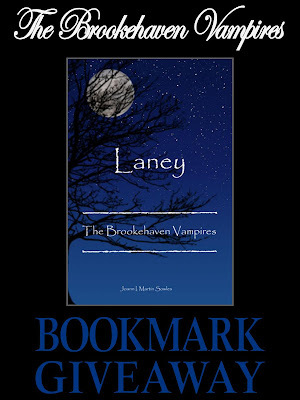 's review of Laney: The Brookehaven Vampires here. Thank you Joann for joining us here today at From the Shadows! To learn more about Joann I. Martin Sowles and her books, please visit her website. 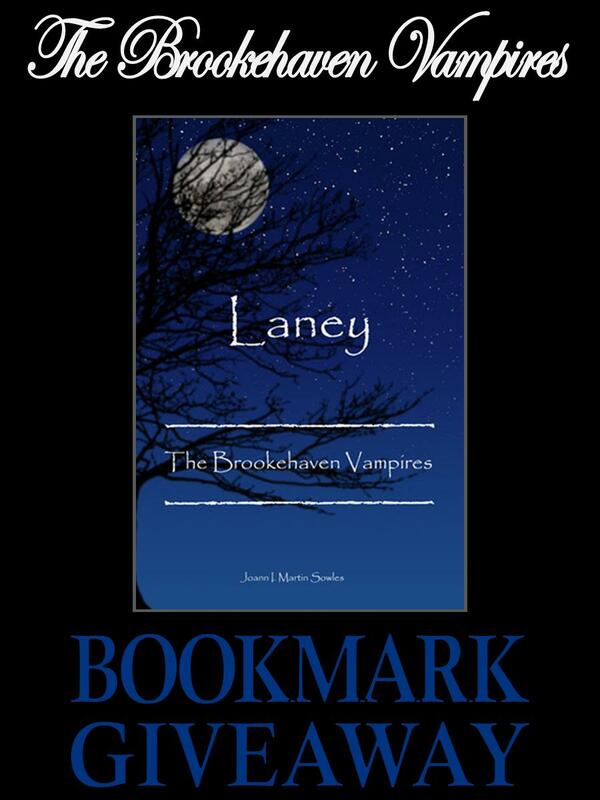 We are giving away gorgeous The Brookehaven Vampires bookmarks to three lucky winners! To enter, please leave a comment on this post including your email address (so we may contact you if you win). You do not have to be a follower to enter (though I always appreciate a follow). This giveaway is open to US and Canadian mailing addresses only. Giveaway ends June 24th midnight EST. I would love to win, but also I'd love to have magical cleaning powers!! I loved the interview, the book sounds amazing. I am an old follower, please enter me. Thanks for another cool interview EJ. Thanks for sharing a new read =) I'm always wanting new vampire stories to read. Please count me in for a bookmark. Bookmarks are great reminders of the books we want to read. I have a weakness for all things vampire. This novel sounds like an interesting addition to the genre. I love Vampires, the books sounds really interesting! Wow, this looks amazing! Gotta love a new take on vamps. ;) And being a HP witch would be the best! Automatic clean. Thanks for the brilliant interview, E.J. and Joann! Joann...Book looks wonderful! I'll be adding this puppy to my TBR pile! i love Laney it's a great book can not wait for book 2. Looks like a wonderful read. Add me to the group.